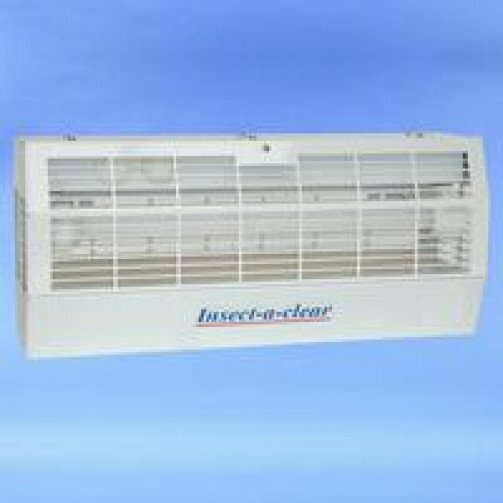 The Glu 60 is an ideal alternative to conventional high voltage flying insect killing machines. The concept is widely accepted by environmental health officers and hygiene managers, and in many circumstances this option is preferred. 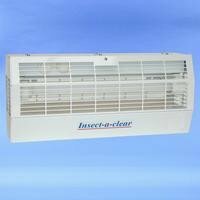 The flying insects are attracted to the GLU-60 by two 15 watt UV tubes that are almost irresistible to flying insects. Once attracted into the GLU-60 Glue Board Machine they will come to rest on a special adhesive coated glue board and find themselves permanently captured. Once the board is full it can be quickly and easily replaced. Once removed, monitoring by a pest controller or hygiene manager is easily undertaken. The Glu-60 can be wall mounted, or left free standing. The board life is up to 4 months depending on the environmental conditions and levels of infestation. The Glu 60 comes with a full 2 year guarantee except the tubes.